When faced with a difficult situation, what determines your response? Do you ever hear stories in the news that make you wonder, “would I do that?”. Some people seem to get stuck in grief and others process it and rise above to do great things. Here in Riverhead, NY, we seek to recognize those who rise above to do great things. In this vein, Peconic would like to recognize a family who has done extraordinary things in the face of a challenge. Meet the Koke family. 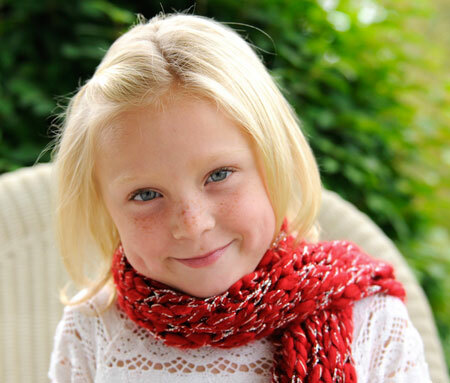 Camryn Koke is a nine year old girl with cystic fibrosis. Cystic fibrosis is a genetic disease that causes problems primarily with the lungs and digestive system. People with cystic fibrosis typically have difficulty growing and frequent lung infections. While medical advances have helped cystic fibrosis patients live a longer life, they are faced with a shortened life full of medical interventions and medications. While taking care of Carmyn’s medical and emotional needs, the Koke family is inspirational as they work tirelessly in fundraising for the Cystic Fibrosis Foundation. Camryn has been a speaker at cystic fibrosis events and is currently hosting an event at her elementary school. To recognize Camryn, Allied Physicians Group, the Long Island Children's Choir, Songs of Love and the Long Island Ducks aare coming together for a Grand Slam Day event. At the LI Ducks game on May 3 at 12:30, the Long Island Children’s Choir will sing a song created by Songs of Love especially for Camryn. Songs of Love is a non-profit organization that individually composes songs for chronically ill children in serious need of pediatric care. Allied has chosen Camryn to be this honored child. Join Allied, the Long Island Children’s Choir and the Koke family at the game, get tickets here. As part of this Grand Slam Day event, Allied is hosting a children’s art contest to design the cover of Camryn’s CD. The winning design will be on the Songs of Love website where the song will be available for download. It will also be featured on the Allied facebook page and may even make it to iTunes! Art designs must include the title “This Song of Love Song is for Camryn”. The rest of the design is up to your child. Designs should be scanned and emailed to contest@alliedphysiciansgroup.com(no more than 10 MB please). Five finalists will be selected and placed on the Allied Facebook page for voting. The design with the most “LIKES” wins. Art design submissions are due by April 19th. Thank you to the Koke family for all that you do for Camryn and the Cystic Fibrosis Foundation. You are an inspiration to us all.